The Boulder County Housing Authority is responding to the rapidly rising need for an increased supply of affordable housing across all of our communities. We seek to build high quality, environmentally sustainable neighborhoods that welcome our clients home. Amid skyrocketing housing prices in Boulder County and along the Front Range, the City of Lafayette and Boulder County are collaborating on a proposal to create a neighborhood of affordable homes that will help the city and the county reach their goals for addressing the region’s lack of housing affordability in the years ahead. The proposed housing site is a 24-acre parcel located just southwest of the intersection of 120th Street and East Emma Street in Lafayette. Boulder County and the City of Lafayette purchased the property for $3.5 million from Flatirons Community Church, a strong supporter of affordable housing. An intergovernmental agreement is in place between the City of Lafayette and Boulder County dedicating the land for the creation of deed-restricted, permanently-below-market-rate homes, to include both rental and ownership options. For additional information, please see www.lafayettehousing.org. Located at 518 Coffman Street in Longmont, this proposed affordable housing development will provide permanently affordable housing as part of a vibrant, mixed-use building that will include parking for Boulder County residents and employees as well as commercial/office space. 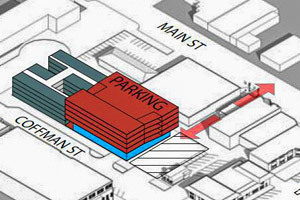 The development proposal includes 50 to 80 units of permanently affordable housing, approximately 10,000 square feet of office space, and a parking garage. In our quest to help address the increasing lack of housing affordability across the county, the Boulder County Housing Authority (BCHA) purchased a .85-acre lot near downtown Nederland. 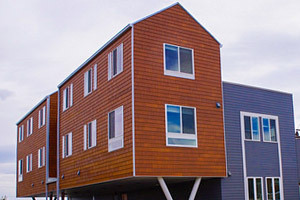 The currently-vacant land is located next to the town’s Regional Transportation District (RTD) parking lot and is near many area services, making it ideal for the placement of 26 high-quality, permanently-below-market-rate rental homes. A final Planned Unit Development (PUD) application has been submitted to the Nederland Town Board. Visit www.nederlandhousing.org for additional information. Kestrel in Louisville is now leasing! See below for information. 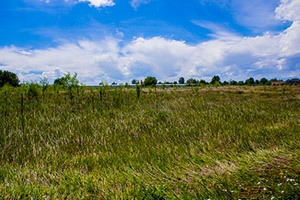 In 2013, Boulder County purchased the 13-acre Alkonis property in Louisville to support the affordable housing needs of the area. 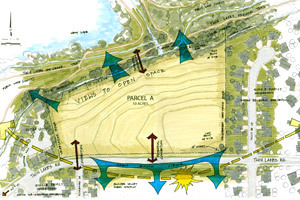 The property, now known as Kestrel, is located just northwest of Highway 42 and South Boulder Road, and includes 200 below-market-rate rental homes for families and individuals and those 55-and-over, pocket parks, community gardens, walking and biking trails, and commercial uses. Visit www.BoulderCountyKestrel.org for additional information, or apply to live at Kestrel at www.BoulderCountyConnect.org (click on “Housing”, then “Kestrel”). Twin Lakes property and our proposal to build between 60 and 120 units of affordable housing in Gunbarrel. Please note: Hearings and meetings on the Boulder Valley Comprehensive Plan process are underway. Please see the City of Boulder’s BVCP web site for details. BCHA has heard neighbors’ and others’ comments in multiple forums regarding the future of the 6655 Twin Lakes Road parcel, and we understand the range of concerns. BCHA is committed to a thorough, responsible, and transparent process as we continue to move forward with our assessment of the property. As additional studies are conducted and opportunities for public input are available, we will communicate through the above interest lists and other channels to help ensure that all interested in this assessment are informed. 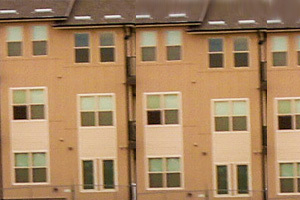 The Lyons Housing Collaborative was the development team for potential Lyons recovery housing. The team was selected by the Town of Lyons because of their experience in building and managing affordable housing. 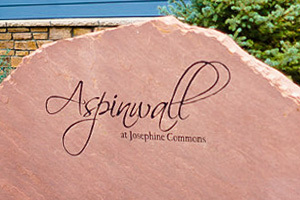 Aspinwall New Construction and Revitalization Project, through Boulder County Housing Authority (BCHA), is comprised of the construction of 72 affordable rental units and the rehabilitation of 95 scattered-site units that are currently owned and managed by BCHA. 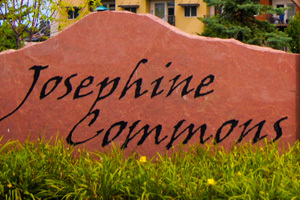 This project will be fully located within Lafayette, CO.
Josephine Commons is a new development designed to meet the need for affordable housing in Lafayette by providing apartment style housing for seniors and multifamily rental units for low income families. 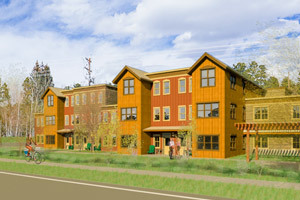 The development includes 153 housing units located at 455 N. Burlington Ave, Lafayette, CO 80026. Lafayette, CO.